The world famous Jog falls is located 30 km from Sagara and 108 km from Shimoga. Sharavathi river contributes for the scenic beauty of nature which is truely world class. Water divides into four ways popularly called as Raja, Rani, Roarer, Rocket and falls down with enormous speed and sound which makes the viewer go speechless. Jog dives from 960 ft to form a lake below. Recently stairs are constructed by government which takes visitors down to the lake. Severe tiredness and thirst will occur inspite humidity but worth trekking till the end. Footsteps are slippery and wet all the time of the year. One more view point is British Banglow which is on the top of the Jog falls. KALASA is located 8 km from Sagara towards Soraba road.It has Lord Mallikarjuna and Rameshwara temples built in 13th century. IKKERI is about 6 km from Sagara on B.H.ROAD which has Lord Shiva temple and Basavana Guddi in front of the Shiva temple. Temple is known for it's architecture. 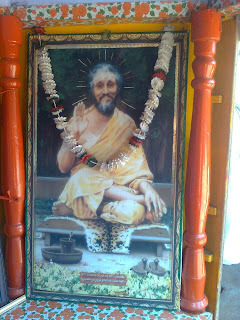 VARADAHALLI is about 6 km from Sagara off the Joga road and it is famous for the Samadi of Great Saint Sri Sridhara Swami of 20th century. HEGGODU is a small village nearsagara with distance of 10 km from the town. heggodu is popular for NINASAM,the famous cultural organisation which teaches drama, art, direction, music, dancing etc. ninasam was built by renowned dramatist k.v.subbanna. Located near Jog falls just about a kilometer of distance which spreads widely but only about 57 km is provided for tourism and rest is core and buffer area out of 471 km of wildlife. Grassy Tiger, Green Nymphs, Monkey, Jac are mostly found and it is opted for water sports as the back waters is suitable for kayaking, Canoeing. 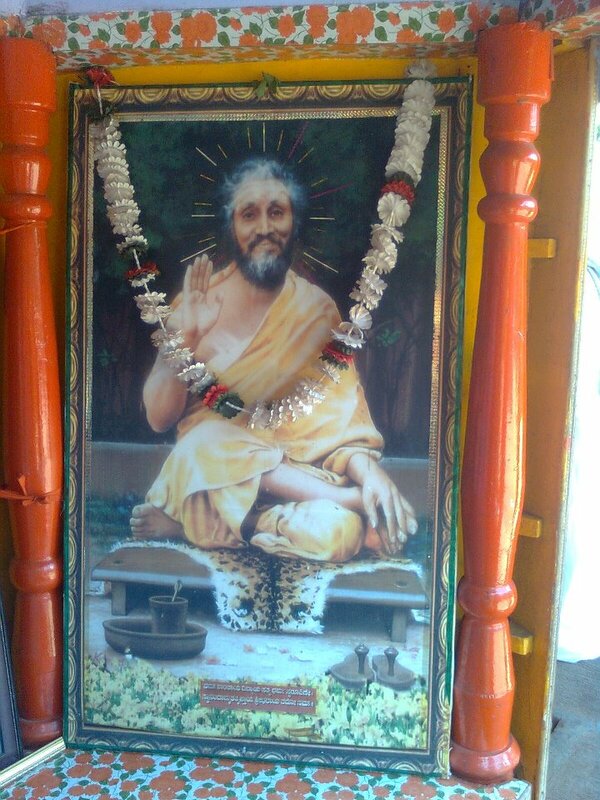 SIGANDOOR / SIGANDUR is famous for its Chowdeshwari temple and the way people travel to the place. Sigandoor Chowdeshwari temple is very popular and people for other districts visit the place very offen and myth is that after worshipping godess / Pooja, Prasada from the temple kept in the farm houses, industries etc will not be stealed as Godess Chowdeshwari will punish the thief. 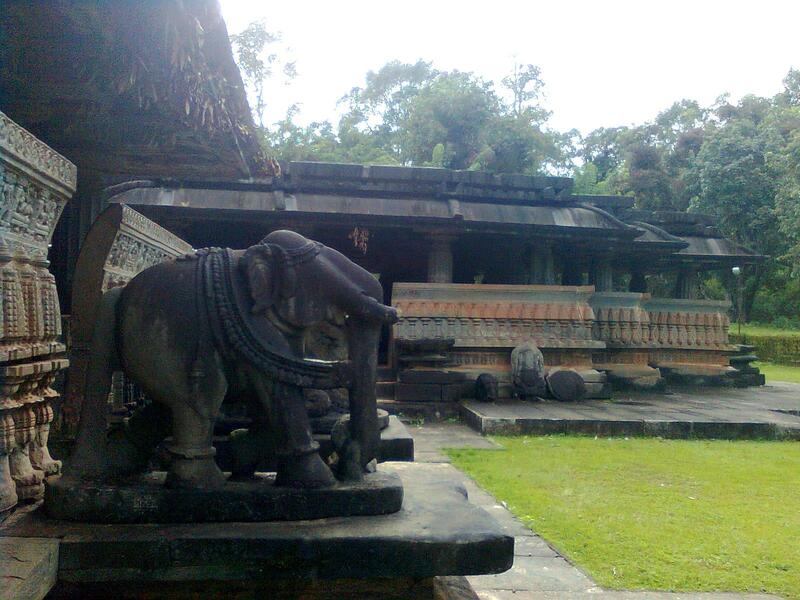 It is located 32 km from Sagara towards Ikkeri road. HONNEMARADU is 35 km away from Sagara after crossing Talvatta village. Road to Honnemaradu is muddy and very narrow. It is the extended back waters of Chakri dam formed by Sharvathi river. Very well maintained tourist spot which is runned by NGOwhich have different package for tourist. Water sport is more opted in this place andthere few boats available at the spot. Littering around the place, alcohol, gutka, non-veg is strictly prohibited. KANOOR FORT is located in the dense forest 50 km from jog falls. It is located 6 km from jog falls constructed across sharavathi river and one of the major power supply plant source for karnataka state. "kalsanka" - nature's marvel left un-protected. kalsanka is an amazing natural bridge / arch formed by a thick rocky layer of rock. this geographical wonder has been maked in geometrical map considering "kalsanka" as second naturally formed bridge in the world. a small water stream flows below the bridge which later joining varada river.kalsanka is located 4 km from talguppa and 8 km away from jog falls on national highway 206 (tumkur - honnavar). "kalsanka" means footbridge in kannada language. the height of the bridge is about 10 feet with 4 feet wide and 2 -3 feet thickness. it is exactly located between malvalli and kalaguru village in sagara taluk, shimoga district. no attempt has been made to save this amazing nature arch yet by any authority so far is the compliant of the villagers. This dam is located 3 km away from kargal and is constructed across river sharavathi.This dam was constructed after liganamakki dam for the purpose of water reservation.this was constructed in 1976 for sharavathi hydro project and a perfect picnic spot.